Got any suggestions for the website? Try making a Cype Website as well. Making a guild recuritment topic? So GuildMasters can advertise their Guild? Oracle aka MrBoiBoi wrote: Making a guild recuritment topic? Found hackers? Post em here!" Ban appeal is usually for hackers to appeal and say what they have to say for an unrightful ban for example. Maybe under the Banned hacker topic there should also be a sub topic for GMs and Admins to put the Banned hacker name and the reason so it will serve as a warning not to use hack to other players. 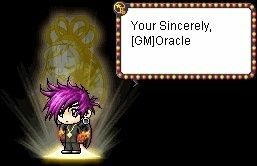 Oracle aka MrBoiBoi wrote: Maybe under the Banned hacker topic there should also be a sub topic for GMs and Admins to put the Banned hacker name and the reason so it will serve as a warning not to use hack to other players. Well hackers know they shouldn't hack anyway. For the Caught a Hacker? make sure to tell everyone how to take a screenshot. For laptops, like mine, i know its if you press FN and Prt Sc, it will take a shot. Then say go to paint and paste it. Thats the way i know how to do it. I dont know for desktops. Yeah i could use the Tut. Section for gimp on sig and avatar creation. mkk. You just had to pm me. Thanks for telling me. Yeah. Its alright man. It' small enough, right? Okay i'll make a worldwide thingy about it..
A Market topic where players in game want to sell or buy something and they shall post it there? Oracle aka MrBoiBoi wrote: A Market topic where players in game want to sell or buy something and they shall post it there? I'll put it up as soon as the server is online:D.
I think it Would be very important and good for our population if we had a reward for voting, once we get our server up. Carson wrote: I think it Would be very important and good for our population if we had a reward for voting, once we get our server up.